On June 17th, Google did not announce (the news broke) that the DARPA affiliated corporation has been silently downloading audio listeners onto every computer that has Chrome. Without going into detail, Falkvinge describes the nature of open-sourced/free-software and how it relies on transparency and the innovation of many software programmers before being finished as a final product. The transparency allows the user to know that the open-sourced software truly does what it claims to do. Chromium, the open-source version of Google Chrome is supposed to operate the same way. Only Google abused the nature of open-sourced transparency, and by-passed the process that would have prevented this from happening. Google rationalized that enabling the ability to be eavesdropped via your personal computer was well worth it, because now “Ok, Google” works! 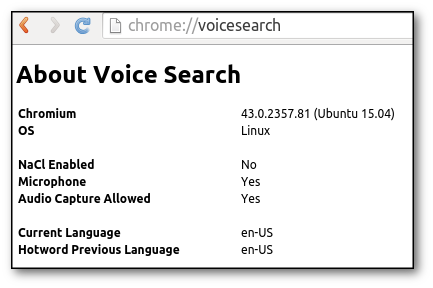 Now when you say certain words, Chrome begins searching preliminaries – is it truly worth losing the stability of your privacy though? Obviously, it is Google’s servers that respond to what is being said along with your computer. So a computer black-box was installed, hooked onto a private corporation’s server and now has the ability to eavesdrop on you and Google had no intention to let anyone know about it! “1) Yes, we’re downloading and installing a wiretapping black-box to your computer. But we’re not actually activating it. We did take advantage of our position as trusted upstream to stealth-insert code into open-source software that installed this black box onto millions of computers, but we would never abuse the same trust in the same way to insert code that activates the eavesdropping-blackbox we already downloaded and installed onto your computer without your consent or knowledge. You can look at the code as it looks right now to see that the code doesn’t do this right now. 2) Yes, Chromium is bypassing the entire source code auditing process by downloading a pre-built black box onto people’s computers. But that’s not something we care about, really. We’re concerned with building Google Chrome, the product from Google. As part of that, we provide the source code for others to package if they like. Anybody who uses our code for their own purpose takes responsibility for it. When this happens in a Debian installation, it is not Google Chrome’s behavior, this is Debian Chromium’s behavior. It’s Debian’s responsibility entirely. Is transhumanism the greatest threat to humanity? Reblogged this on The Way of Possibility and Impossibility.